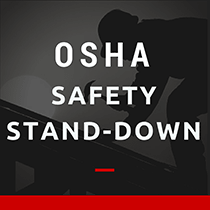 Employer & Employee OSHA Standards Explained! "It's just a very easy system to use, very happy with the whole system. I used it once before and its just awesome." 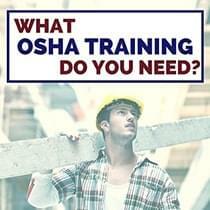 OSHA Education Center is an educational program offering OSHA training to construction and general industry workers nationwide. All courses are authored and provided by American Safety Council, a market leader in delivering online education related to workplace safety. Our courses assist U.S. employers in meeting the training obligations outlined in OSHA Standards 29 C.F.R. 1926.21(B)(2). Upon successful completion of the 10-hour or 30-hour OSHA Outreach courses, you will receive an official OSHA card from the U.S. Department of Labor (DOL). In addition, all graduates receive an official certificate of completion. OSHA Outreach courses are provided by the University of South Florida, an OSHA-authorized online Outreach training provider.